Object 416 was born in the famous city of Kharkov. It was designed by The Construction Bureau of Plant No. 75. 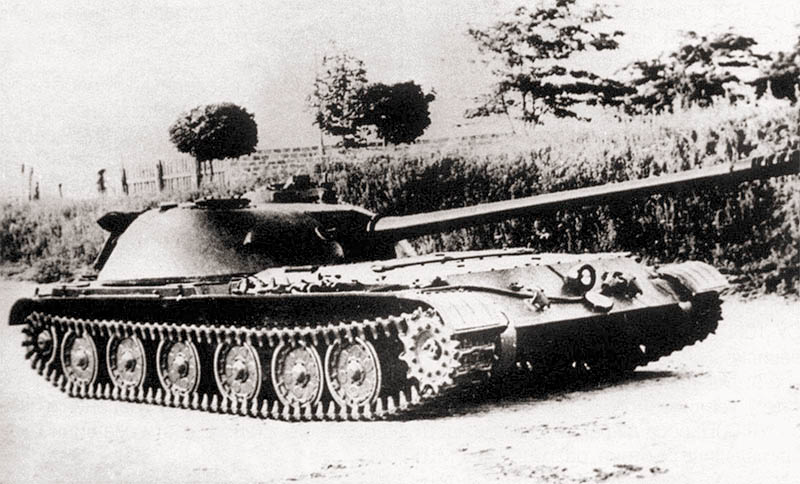 In 1944, the same design bureau had designed the A-44, a rear-turreted medium tank. The A-44 never saw development as a consequence of the ensuing Russo-German hostilities. In 1950, the team started with a fresh blueprint, taking inspiration from their older design. The design was for a light tank with a low silhouette that would be well armored, but not overly heavy. In 1951 the requirements for the project were altered. Due to its general characteristics, the vehicle was redesigned as a self-propelled/assault gun. Technical problems with the turret meant a working prototype was not ready until 1952. By 1953, the design had developed a little bit more, and had a properly functioning turret. What came out of this was the Object 416, a lightweight vehicle with an extremely low profile and a rear mounted turret. The vehicle weighed just 24 tons, and was only 182.3 cm (5’2”) high. It was moderately armored with hull armor of only 75 mm (2.95 in) and frontal turret and mantlet armor of 110 mm (4.3 in). 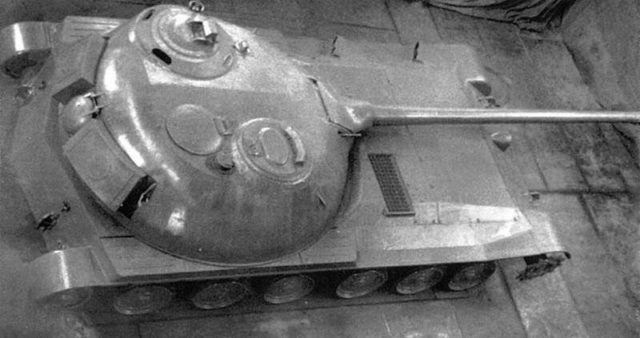 The turret, though designed solely for this vehicle, shared a lot of features with the T-54’s, but was greatly expanded. It was abnormally large for a vehicle of its class and size, but for good reason. All 4 of the crew, including the driver, were positioned in the rear mounted turret. The driver sat at the front right. An ingenious system was developed, meant to allow the driver to remain facing towards the front of the vehicle regardless of where the turret was pointed. On paper, the turret was capable of a full 360 degrees of traverse, however, the driver’s seat would only rotate so far. This meant that the arc was reduced to 70 degrees left and right while the vehicle was on the move. The was also responsible for loading the 7.62 coaxial machine gun to his left. The main armament of the 416 was the 100 mm (3.94 in) M63 cannon, a derivative of the D-10T gun found on the famous T-55. Its ballistic characteristics would have probably been much the same. For reference, the T-55’s Armor-Piercing rounds could penetrate 97 mm (3.82 in) at 3000 m (3300 yds), with its Armor-Piercing Ballistic-Cap penetrating 108 mm (4.25 in) at the same distance. These values relate to D-10T, as ballistic reports on the M63 are sparse to say the least. To reduce the effect of the heavy recoil on what was essentially a light tank, the gun was tipped with an elaborate Quad-Baffle muzzle brake. The gun was also equipped with a bore evacuator to assist in venting fumes from the cannon after firing. The gun could elevate to 36 degrees, in theory meaning it could take extremely effective hull down positions (as seen to the left). But the rear mounted turret meant the gun only depressed to -5 degrees. An innovative feature of the gun was its chain drive loading system. The loader would drop the shell onto the tray, and the chain system would then ram the shell into the breach, saving him the arduous task of loading what is quite a large shell in a cramped fighting compartment. Of course, in the event of the chain-drive failing, the shells could be loaded manually. After loading, the chain drive would be folded out of the way to avoid being struck by the recoiling gun breech. The tank carried 18 ready rounds of 100 mm ammunition (AP: Armor-Piercing, APBC: Armor-Piercing Ballistic-Cap, APHE: Armor-Piercing High-Explosive) in the rear of the turret. There was more ammunition storage in the rear of the hull. Under the almost bare forward hull, laid the tank’s power-plant, a 400 hp, V12 Engine. This allowed the tank to reach a top speed of 45-50 km/h. The tank’s torsion bar suspension system and track were designed specifically for it. Unusually for Soviet tanks of the time, the sprocket wheels were at the front of the vehicle. The tracks use external guide horns, rather than the more traditional center guides used on most Soviet tanks of the era. As development continued, problems arose that would affect its intended role as a light tank. Problems with steering, and firing on the move hindered the development. As such, the vehicle became more of a Tank Destroyer, and as such was re-designated as the SU-100M. One source suggests that this was the only way the project would continue to be funded. 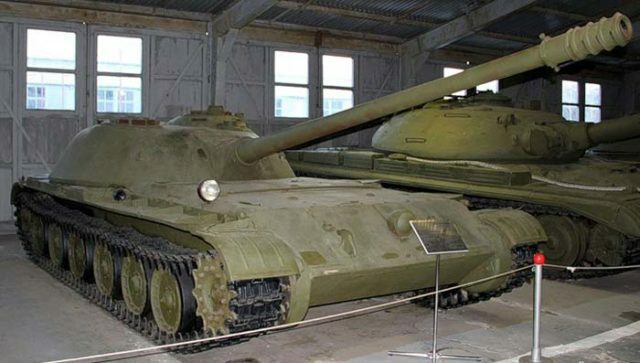 The vehicle itself never saw service or production, losing out in tests to the SU-100P. Ironically this vehicle also ended up as a canceled project. The two vehicles sat for a long while side by side at the Kubinka Tank Museum. 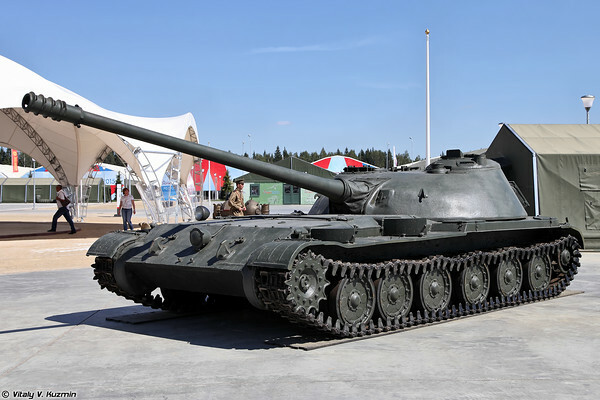 The Object 416 is now at the Patriot Park in Kubinka. Tank Encyclopedia’s own illustration of the Obj. 416 by David Bocquelet. Almost like the Leichte Lowe, this. But at 24 tons it’s sehr leichte. Anyway, they had the right idea for a low silhouette tank hunter. But only 18 rounds for the gun; it can’t stay in the field long.